Tumble down the roots of this age-old city and discover a garden unlike any other. 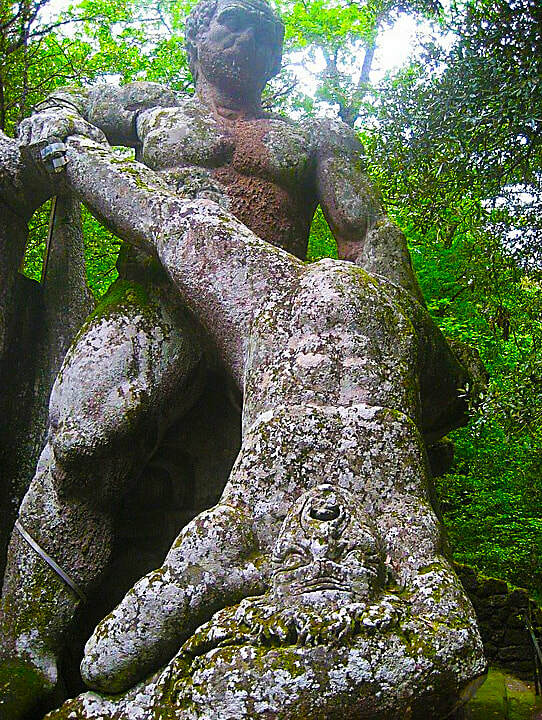 Bomarzo is a town just over 42 miles northwest of Rome in the province of Viterbo that holds a surprise for the visitor willing to go against the grain of the average tourist. About 400 feet below the historic town center is a place here where creatures are gigantic, where mouths of monsters can swallow you alive, where a tilted house leans so far over for fear that it will collapse any second, and where Titans eternally clash. This place has many names perhaps because it has left many impressions in the minds and hearts of visitors. 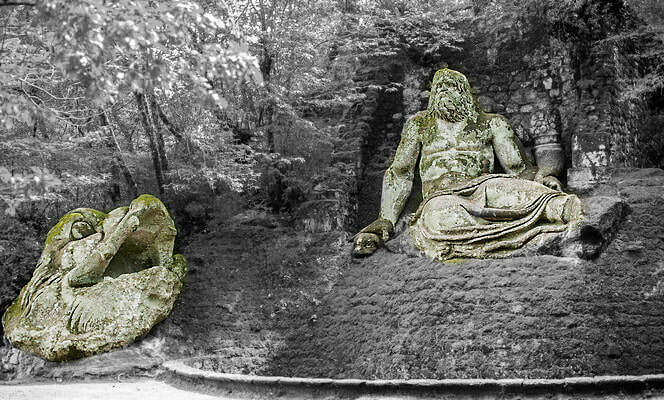 Often it’s simply called the Garden of Bomarzo. Some call it Bosco Sacro (Sacred Woods) perhaps because they were enlightened by the magical fantasies here nearly hidden by nature for hundreds of years. 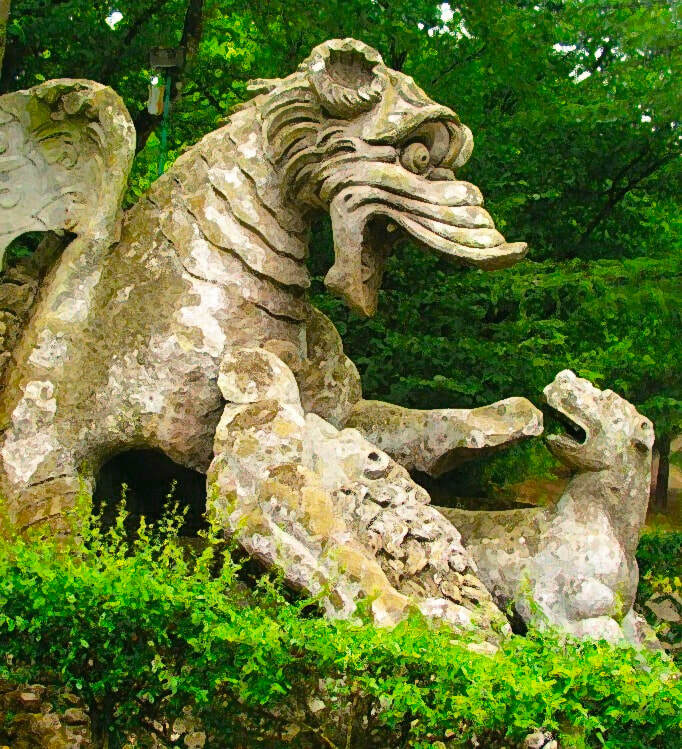 Still others call it Bosco dei Mostri (Monsters’ Woods), named for the hellish, monstrous larger-than-life sculptures of giants, animals and grotesques whose domain this is. 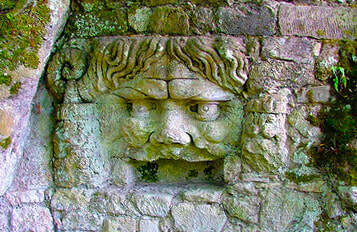 The Bomarzo monsters are the work of Pier Francesco Orsini, called Vicino (1528–1588). 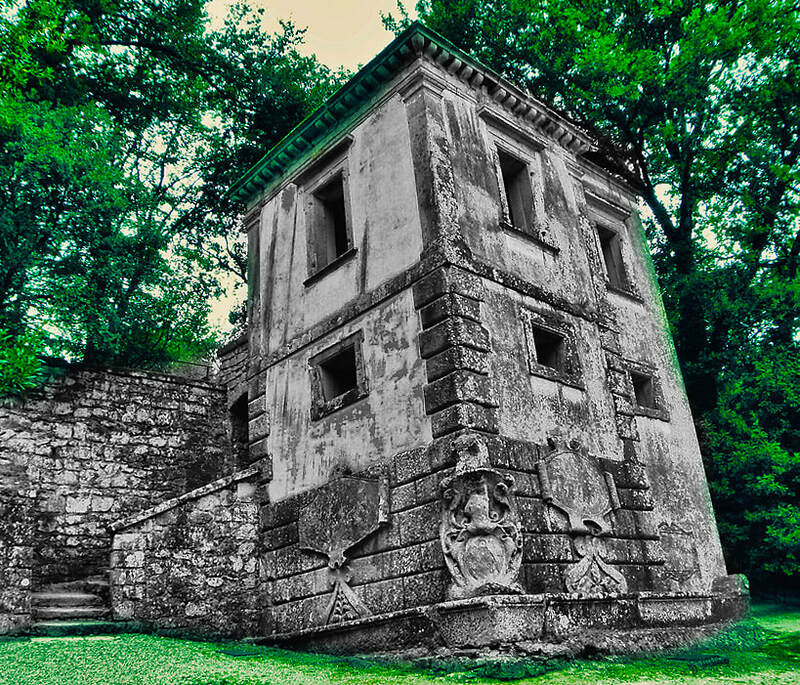 A patron of the arts, he dedicated the garden to his wife Giulia Farnese, daughter of Galeazzo Farnese, Duke of Latera. 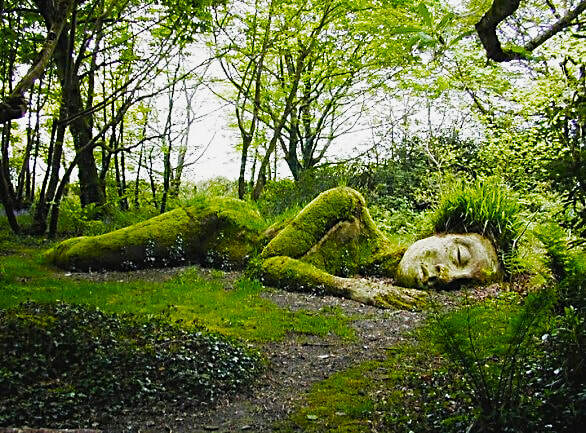 What a strange garden to be created in memory of someone. One wonders, what strange memories did he have? It’s said that Pirro Ligorio designed the garden and its creatures, who later continued the work of Michelangelo at the Vatican. The gardens took 30 years to build, almost half of Orsini’s life. To many, this place is fun, to others it’s a scary place. The monsters and beasts are magnificent and huge. 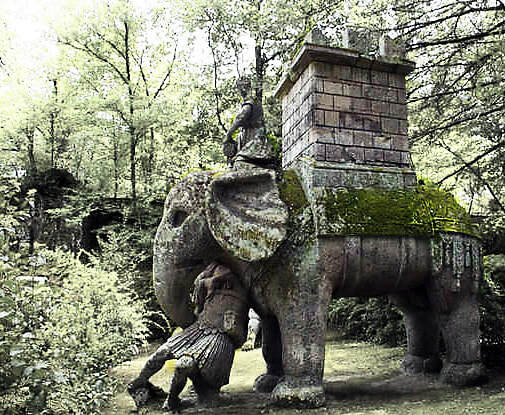 Hannibal’s war elephant is carrying a just-killed Roman soldier in his trunk. Next is a tilting building, called Casa Storta or Twisted House. Push on one side to hold it up, push on the other and perhaps it will fall. The Titans are in mortal combat. Elsewhere, you’ll see Pegasus taking flight. 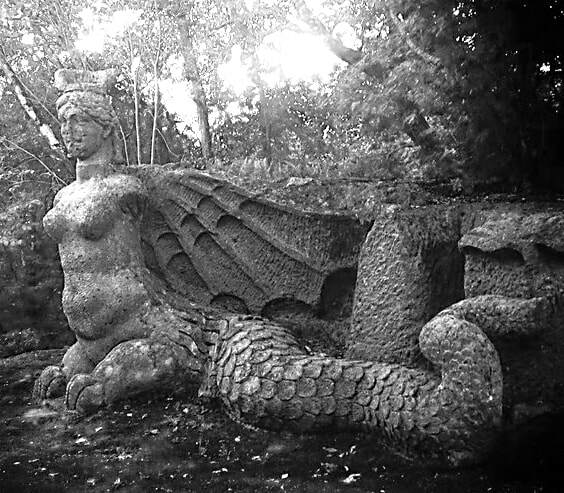 Winged griffins and a snake-legged goddess await to shock your soul. There seems to be no real plan of the placement of the monstrosities, they are randomly positioned in the garden. The symmetry of garden design popular during the period it was built is nowhere to be seen. There is nothing orderly here, just surprise and shock. There is an inscription on one monument that says: Just to set the heart free. In 1951, Giovanni Bettini, a real estate agent, traveling around Italy discovered the place and saw the magic in it. 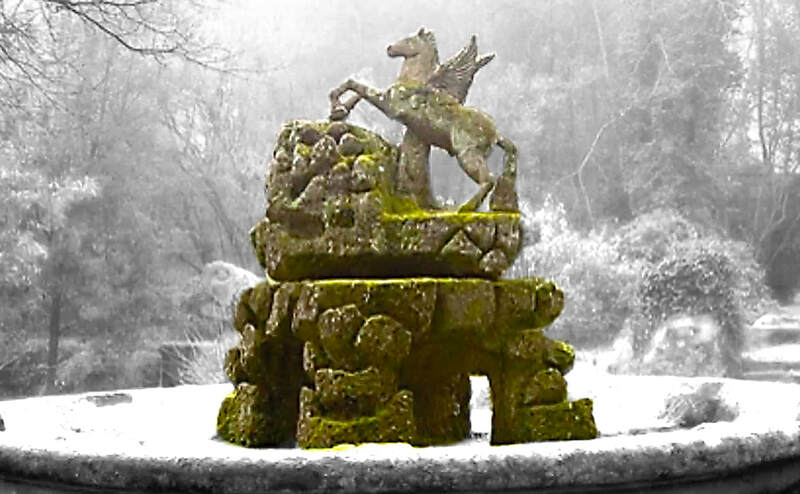 He purchased and restored Bomarzo, freeing the beasts and monsters from the woodlands grasp. Today, the garden receives 40,000 visitors a year. Why venture where the typical tourist goes when there are treasures like this in Italy? Just 42 miles from Rome awaits this fantasy. Explore 10 reasons why tourists are flocking to Abruzzo. Why it might be the most "underrated" city in Italy.